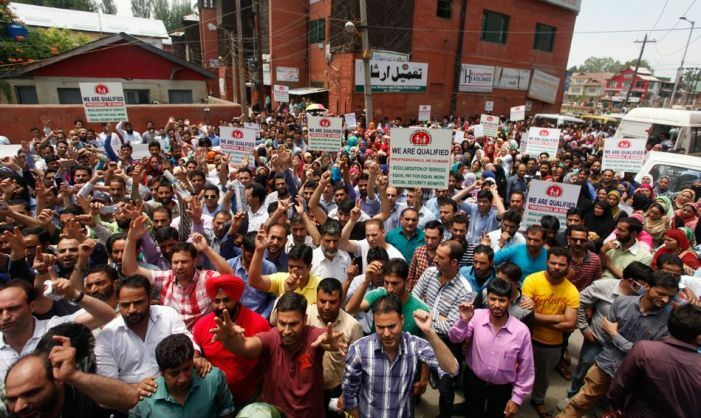 Srinagar: The Chief Medical Officer Bandipora, Dr Bilquis Thursday asked all the protesting National Health Mission (NHM) employees of the district to resume their duties immediately or else their contracts shall be aborted. The CMO said that the department has already issued notices to the employees on Feb 7 asking to join them. The NHM employees are on strike for last one month demanding regularisation.